What does being a Strathclyde Siren mean to you? It means being gutsy, determined and playing the game with passion. What inspired you to play netball? I started playing netball at school, along with taking part in lots of other sports as I have always been super active. 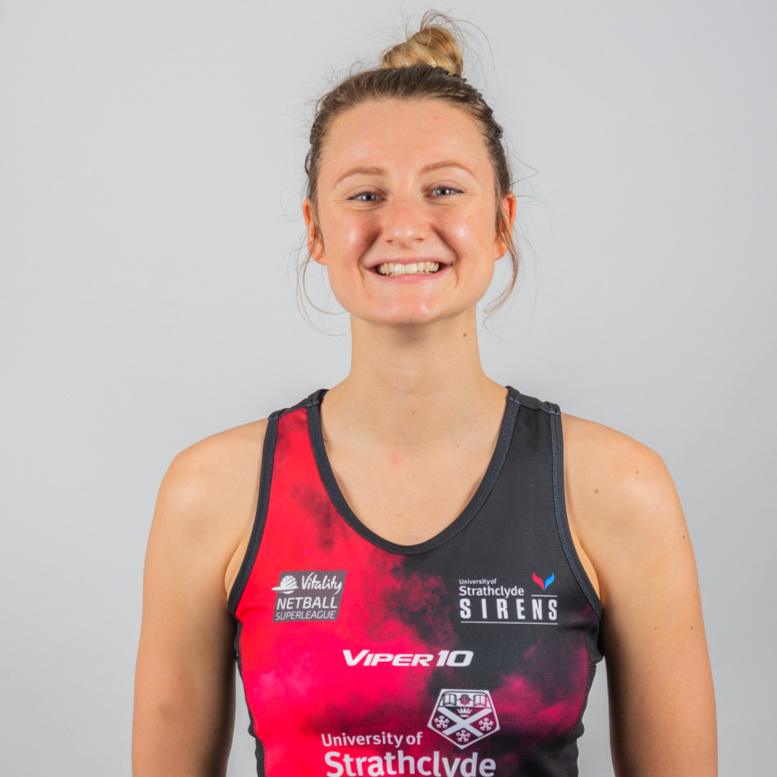 I competed in Athletics for Scotland before returning to netball - I love how fast-paced and exciting the game is, as well as playing alongside inspiring team mates. What advice would you give to young netballers who aspire to play netball professionally? Just enjoy playing the game, I always play my best with a smile. Stick at it, even when you face set-backs, and trust that your hard work will pay off. The best thing about playing netball is… Your netball family. You make many friends for life, and can even be lucky enough to travel the world with them! Just for fun... If I could take three things on a desert island, they would be… My Kindle full of some good books, guitar (not that I can play, but figure I would have the time to learn!) and a boat, to leave the island if I want to. If I had a superpower, it would be… Breathe underwater or fly. Always thought it would be pretty awesome to be able to explore the world from a different perspective. My favourite quote is... "Believe in something. Even if it means sacrificing everything." My guilty pleasure is… Watching weird/cute animal videos and ordering in a takeaway You would never believe if I told you I... Can fly a helicopter. Na jokes, not as cool as Emily. I rowed the Channel once for charity, and raised over £12,000. JOIN THE SIRENS ARE YOU IN?